Ride low point: No money for an ice cream! We spent the day cycling alongside Lake Maggiore which is a long narrow lake shared by both Northern Italy and Switzerland. The roads were great for cycling and in good condition. However, they were a bit narrow at times meaning that cars would occasionally pass a little too close for comfort. The views of the lake were spectacular the entire ride and we often stopped to take photos and soak up the scenery. Roughly two thirds of the way to Locarno you cross the border from Italy into Switzerland, there is a border control point but they seem pretty laissez-faire about the whole thing. Once into Switzerland there are few changes, but the roads seem even nicer and the architecture of the houses alters, which seems strange as they are so close in proximity but so different in style. 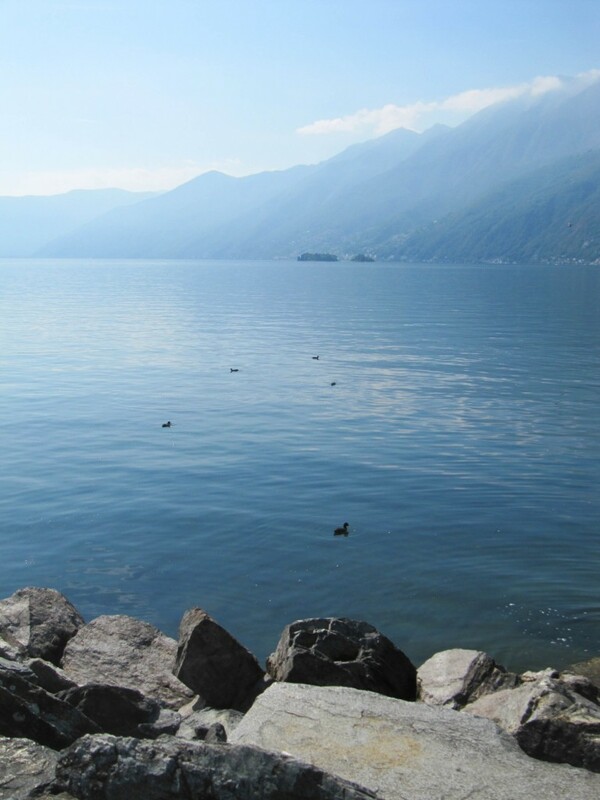 The cycle ride was fairly flat and not too strenuous but even still when we finally rolled into Locarno we were pretty hungry, we enjoyed our packed lunch over-looking the lake, and after we fed ourselves we decided to feed the ducks too! 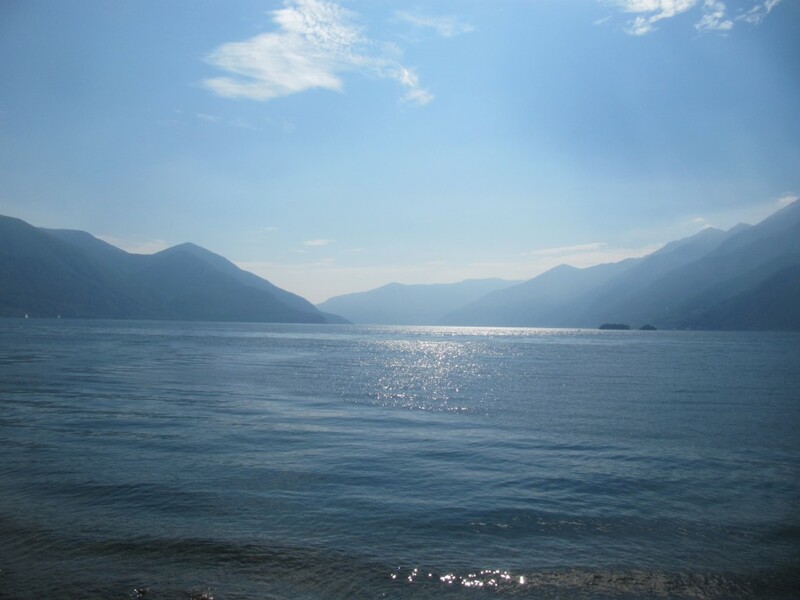 It was pleasant to wander around Locarno as it is a very pretty town. There were lots of expensive boutique stores and high-end restaurants, and we felt a little out of price zone wandering around. Even the ice cream was expensive and we discovered we didn’t have enough change to buy one, which was a big disappointment! 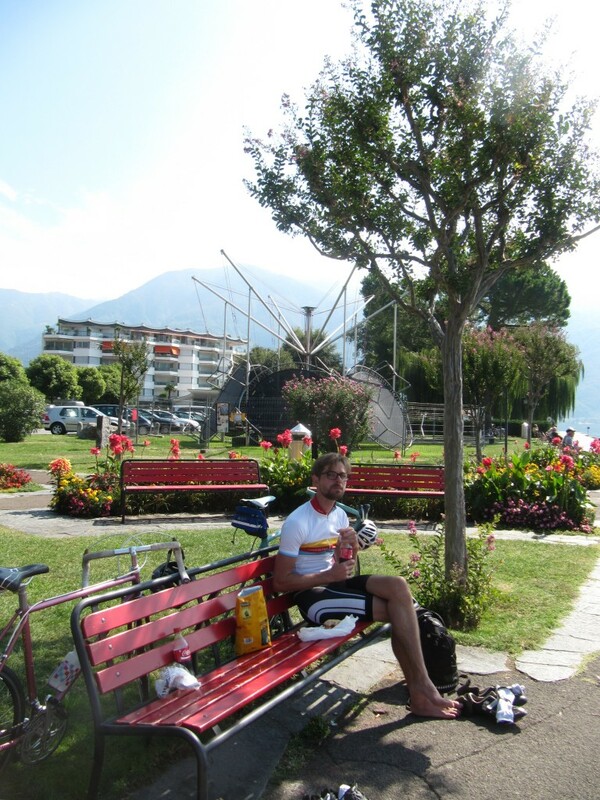 After a rest in the town we had to continue our ride, unfortunately it was too far to continue cycling around the lake so we had to cycle back almost the same route as we had cycled to Locarno. The ride was so beautiful though neither of us really minded.